You are here: Home » Frozen yogurt: Junk in disguise? Frozen yogurt: Junk in disguise? Yet another ’80s trend has made a comeback. 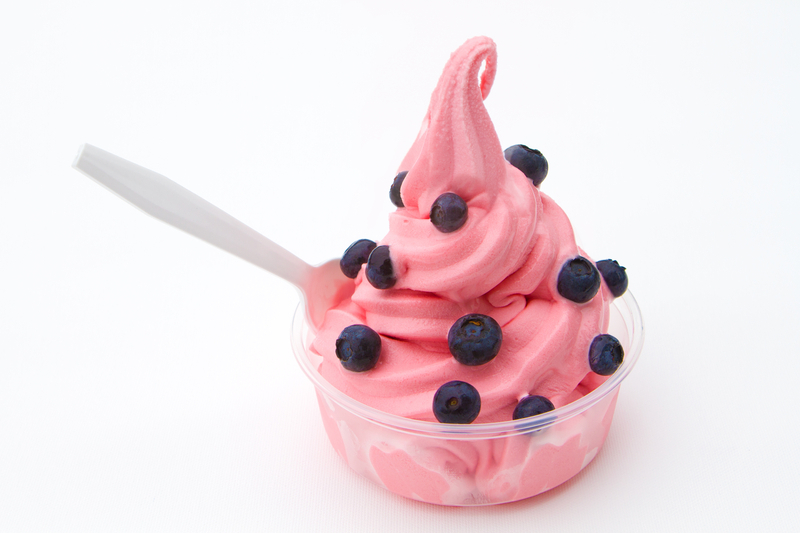 Frozen yogurt shops continue to open everywhere. If you’re looking for a refreshing snack, it does seem like a wise nutrition option, but it may not be as smart as you think. Your choice could be a minefield of calories and sugar. Yogurt first made its appearance in North American markets decades ago as a health food. Science had attributed the amazing longevity of Bulgarian peasants to their consumption of these fermented dairy products. And as the choices in the dairy case expanded, frozen yogurt became a popular alternative to ice cream for consumers. Over the years, the public’s affection for frozen yogurt seemed to have waned, but it is now back with a vengeance. Research continues to link yogurt to an assortment of health perks including protection against cardiovascular disease and weight gain. An Australian study published in the American Journal of Clinical Nutrition, investigated the relationship between consumption of milk, cheese, and yogurt and the health, or thickness, of the carotid artery in more than 1,000 elderly women subjects over a three-year period. The presence of plaque in this artery is a sign of cardiovascular disease. The scientists did not find a link between the total amount of dairy products, milk or cheese consumed and the thickness of the artery. Yogurt, on the other hand, got top marks in the assessment. Just a mere 100-gram serving per day was associated with better carotid artery health. That may be the case if you’re choosing a plain, low-fat, low-sugar yogurt and topping it with fruit while going for a reasonable serving size. But the latest craze in some of the newer chains is to gussy up the flavours – Cookies and Cream, White Chocolate Mousse and Caramel – and then provide you with a large cup where you serve up your own portion. While the nutrition information for some chains is provided online, not all the pertinent data is included. The chain Yogurty’s, for example, suggests you check in the store for the details on your choice. What are the chances you’ll check it out if you’re headed there with kids? The nutrition information on both Yogurty’s and Menchies, another chain that has been opening up stores at a fast pace, may bear no resemblance to what you are actually going to eat. The listings may be for meagre portions, not those you might actually put in your cup. So why then do they only have one bowl size – a whopping 16 ounces? That’s about four times the amount of the nutrition information on Menchies’ website. Fat chance if you have a gargantuan bowl that you’ll have a sensible serving. There’s plenty of research pointing to the impact of large dishes on serving sizes. Take the one half cup serving you might have intended to get and it likely looks mighty skimpy as you hold down the lever that controls how much yogurt comes out. The answer to why they only offer such a large bowl is an easy one: you pay by weight. There’s much more dough to be made if yogurt eaters are generous with their portions. Then there are the toppings. Are you going to bypass the self-serve brownie bits, peanut butter chips or cheese cake bites or just sprinkle on a little of each? After all, it’s right in front of you as you make your way to the cashier. And how much is just a little sprinkle when you look at the bowl? When you do the math, you might be a little shell shocked at what you are really consuming. Let’s say you have a bare, no toppings, Classic Pumpkin flavour at Menchies and you only fill it up two thirds the way – after all pumpkin with its beta carotene is so healthy. Your caloric total is over 400 calories. You could have had two scoops of Baskin Robbins’ German Chocolate Cake Ice Cream on a regular cone and still come out ahead in terms of calories. Or better yet, you could check out that old standby Yogen Fruz, where they still serve you frozen yogurt in sizes that make it a refreshing but healthy treat that won’t pack on the pounds. But have fruit, such as berries, instead of the cookie or sugary cereal toppings. Sorry! I have no idea. Maybe check with whoever designed your website. Best of luck!